Our Dispatch Four commentary provided a focus on Larry Ellison’s second keynote which was solely dedicated to the Oracle Fusion Application suites that sit on the enterprise tech providers underlying Gen2 Cloud database, analytics and infrastructure. In this Dispatch Five update, Bob highlights what he tweeted as one of the most profound panel discussions he has witnessed as a supply chain management industry and technology analyst. Day Three of 2018 Oracle Open World provided was this Editor believed was one of the most profound and eye-opening panel discussions that I have ever witnessed at a technology focused conference. General Michael Hayden: Former Director of the National Security Agency (NSA), Principal Director of National Intelligence, and former Director of the Central Intelligence Agency. Jeh Johnson: Former Secretary of Homeland Security for the Obama Administration. Edward Screven: Chief Corporate Architect, Oracle Corporation. Mark Hurd, Oracle CEO was the moderator of the panel and did a great job at posing rather profound and direct questions to the panelists. We were especially keen to view and take-in this panel because within our 2018 Predictions for Industry and Global Supply Chains which we published early in the year, we had predicted that cyber risks and information security safeguarding concerns would consume supply chain risk and advanced technology investment considerations. History of past events and continual observations from experts in the field point to individual business and industry supply chain processes as significant or likely threats to cyber penetration. The Homeland threat of cyber warfare has escalated significantly but the U.S. and other nations are better at connecting the dots and determining likely sources. More profound, the panelists concurred that cyber threat incidents are going to get worse before they bet better because the players, either well-funded criminal organizations of state-sponsored players are becoming far more sophisticated. The threat is to individual companies and to nations. The new notions of national defense now include cyber because the costs to deploy attacks are cheaper than expense military equipment and the results can be more meaningful in destabilization of nations. General Michael Hayden noted the new challenges posed in defense policy when a nation has to strike a balance between individual freedoms and national security policy focused on cyber penetration. Sir John Scarlett noted the lack of international rules of engagement related to cyber and the differences in culture and approach across nations. In Europe, interference in elections has been a norm for some time along with theft of emails. The differences are new intentions to disrupt institutions and political fabric. He further observed that leadership in advanced technology is not just confined to the United States, hence technology protection policies have to have a more balanced global lens. Governments are still trying to figure out the right balance of cyber security policy related to either defense or offense. They concurred that there remains a changing definition of what constitutes security while balancing the needs for citizen privacy liberty and freedom. There is no simple answer. The message is that public and private partnerships remain extremely helpful in the understanding of the sophistication of technology and insuring that the brightest talent is balanced among government and private industry. There are bright minds in key national security agencies, but talent remains challenged at civilian levels. The panelists encouraged tech stars to volunteer for a period of government service. There are changing definitions and perceptions as to what constitutes national security and situational awareness to cyber threats which remains a work-in-process at the policy and legislative level. Be clear on what needs to be protected since in the current environment, not everything can be protected. Cyberspace is indeed a battlefield which today includes businesses and civilians. Each will have to make security decisions nearly every day since threats are persistent. Right now, disruption is the only constant. If you have some time, we encourage all readers to review the video of this session. We trust that you will agree that more technology and business conferences need to include such conversations to help businesses and industry supply chain teams set the right priorities in protecting important information assets while balancing the need for personal freedoms. 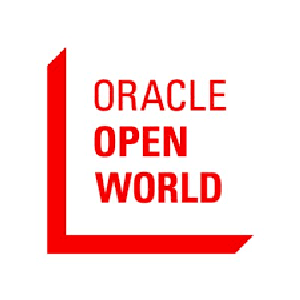 Stay tuned for our forthcoming Oracle Open World summary impressions commentary.